East Sussex is one of the Home Counties' hidden secrets, it’s got beautiful countryside, charming towns and villages, and the coastline's not too shabby either, dotted with charming old resorts like colourful Brighton, historic Hastings and genteel Eastbourne, perfect for taking the sea air and enjoying a relaxing soak. Accommodation in the region is excellent and varied with plenty of country house hotels, smart guesthouses and wonderful old coaching inns. But it turns out that the best hotels with hot tubs in East Sussex are slightly harder to find! There are a number of East Sussex hotels promising to rejuvenate you. Some hotels boast spas and saunas, like Brighton’s glorious Grand Hotel, with its traditional elegance and sea views. And some boast attractively designed outdoor pools, like Old Whyly, a charming listed manor house in Lewes. 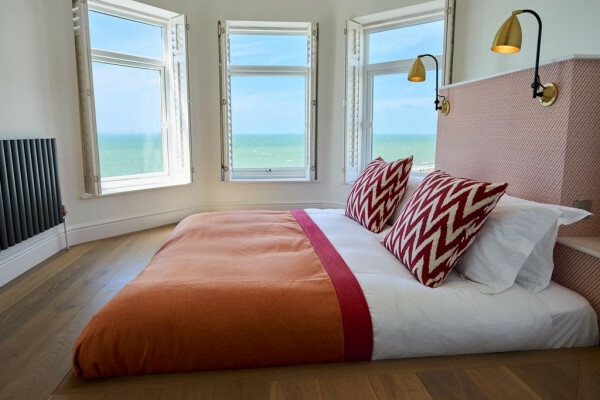 While some just offer the perfect romantic refuge on the coast, like the Zanzibar International Hotel in St Leonards on Sea, where some rooms feature spa baths for two. But that’s not the same thing! Don’t despair, we did find some great hotels with hot tubs in East Sussex, but unfortunately none of our Guru’s favourite hotels with hot tubs in East Sussex offer rooms with private hot tubs. 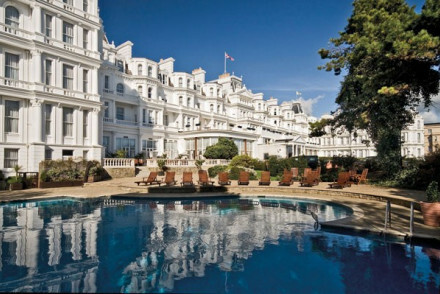 The Grand Hotel, Eastbourne is a landmark, Victorian-era, luxurious, English seaside hotel, with a host of facilities, including indoor and outdoor pools, a range of spa treatments, a children’s playroom, a putting green, and an award-winning restaurant. It’s not just children who’re welcome, pets are too. The hot tub is in the spa area, which is quite close to the pool and can accommodate up to six people. 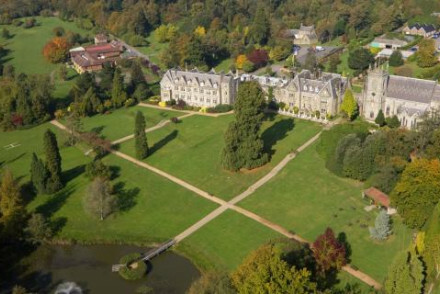 Ashdown Park Hotel in East Grinstead is an exquisite country house hotel in the Ashdown Forest surrounded by acres of parkland and a golf course and tennis courts. Guests also have access to the spa, an award-winning restaurant and wake up to peaceful forest views. The spa has a hot tub and whirlpool baths. The Brighton Harbour Hotel is a Georgian seafront hotel with contemporary accommodation and within a short stroll of all the highlights of Brighton. There are 79 rooms, some large enough for families, with room rates that start from around £85 per night. Consult our Ultimate Guide to UK Hotels with Hot Tubs? 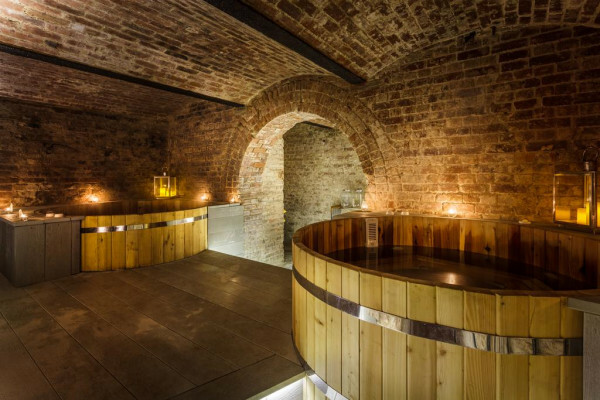 or else check out our pick of hotels with hot tubs near London? Or you might want to check out all the best places to stay in East Sussex? 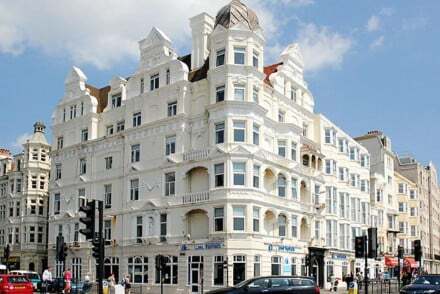 or best places to stay in Brighton? or narrow it down to The Most Romantic Hotels in East Sussex? Or the Best Pubs with Rooms in Sussex?